Begin by speaking to Kaqemeex near the prayer altar in Taverley. 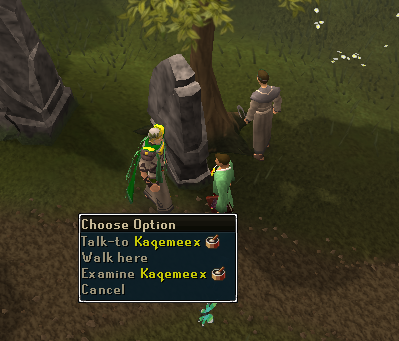 The quest can be started by speaking to Kaqemeex near the prayer altar in Taverley. 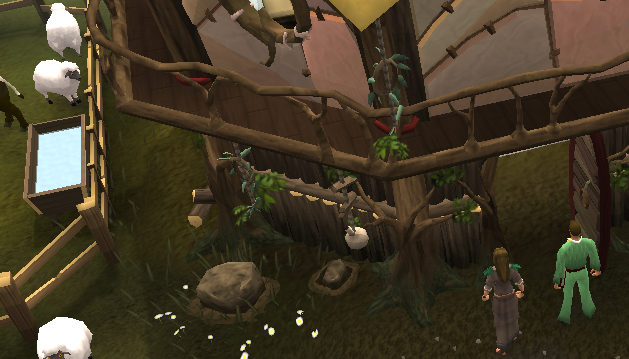 Kaqemeex acknowledges that he and his fellow druids worship Guthix. He states that he and his fellow druids want to help the Burthrope fighters to the north, but because Guthix is the god of balance and because the issue is minor on a global scale he remains neutral on the matter. 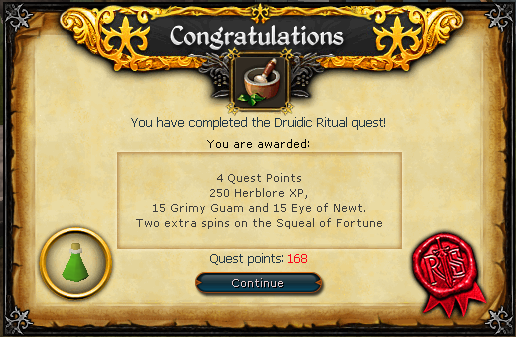 He tells you there is a herbalist named Sanfew who is working on creating a potion called the ointment of imbalance that will bring the matter to Guthix's attention. Kaqemeex begs you to go to Sanfew and help with the creation of the ointment. Sanfew can be found by heading south along the road until you reach the last house by the river. The house is a few steps north of a cow/sheep pen and Turael the slayer master. When you get to Sanfew tell him you've been sent by Kaqemeex to help Sanfew make an ointment of imbalance. To make the potion Sanfew says he will need a vial of untainted living water, some wandering wyrmwood, and scales of a stone fish. The untainted living water can be collected from a cave located on a small peninsula south of Sanfew's house. When you enter the cave, head south east and then south through the level 6 gelatinous abominations until you reach a subterranean spring, which is where the water will be collected from. If you have not already, you may have to go through a mini quest with the wizard Ariane, which requires you to beat a level 26 troll. The troll should be easily defeated by the both of you even if you do not inflict any damage. 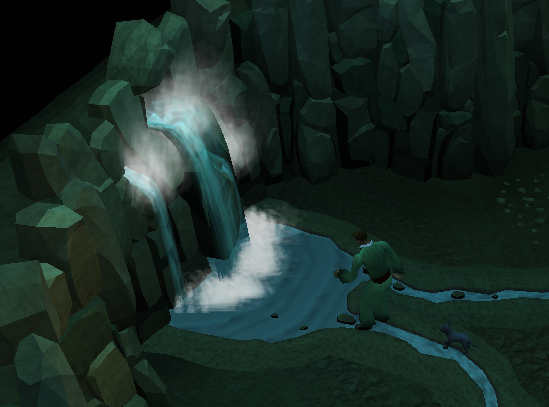 After the mini quest you will be able to collect the living water. The next ingredient on the agenda is the wandering wyrmwood. 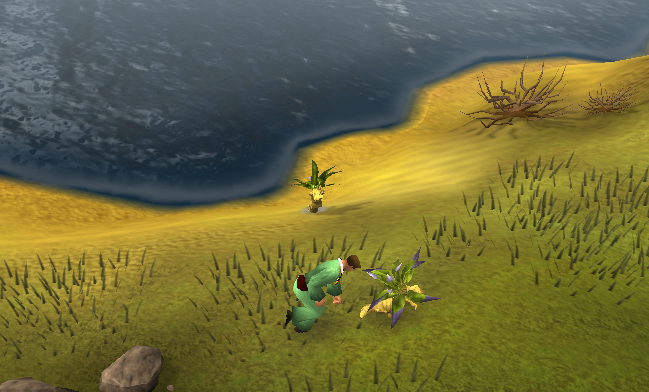 The wandering wyrmwood plants can be found south of the Taverley Lake and north of the Witch's House. What you have to do is pluck a couple of leaves off of one of these plants. Much like their name suggests, wandering wyrmwoods walk around and occasionally will replant themselves into the earth. To get the leaves you may need to do some running around, but you should get the leaves quickly. 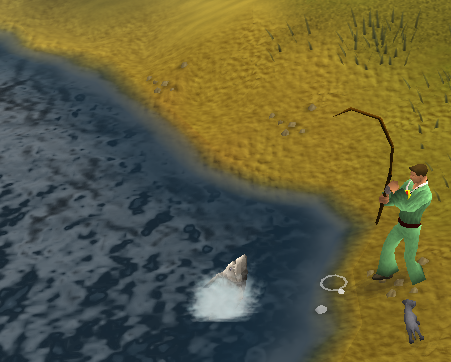 The stone fish can be caught in the lake south of Sanfew's house and just north of the wandering wyrmwoods. The stone fish requires a fishing rod and one coin to catch. The one coin can be taken from your money pouch. You may have to enter your bank PIN before you actually catch the fish (which is a bit odd; when was the last time you had to enter your bank PIN before you went fishing?!). The fish should be easily caught in a couple of seconds. Once you have the fish, click it to remove the scales from the fish. You will need a chisel to do this. Once you have all of the ingredients, return to Sanfew. Speak to Sanfew and give him all of the ingredients. He will create the potion and you will see a cutscene where Kaqemeex is performing the ritual with Sanfew and his fellow druids. Kaqemeex will begin a boring monologue and then pour the ointment on the altar. 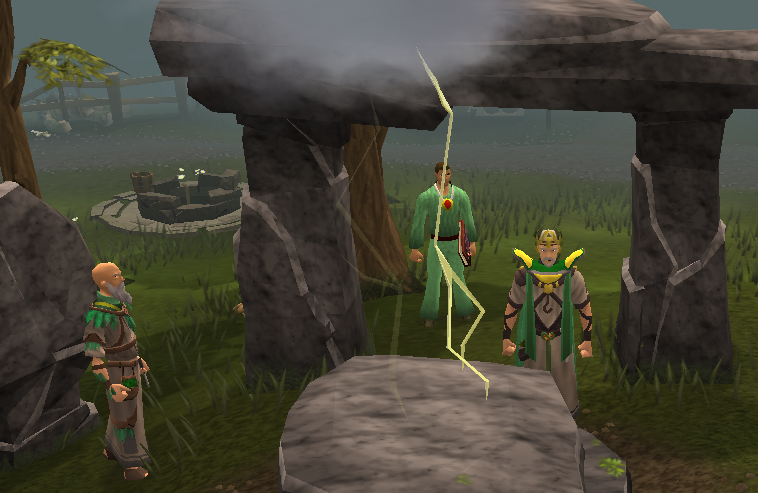 After a short stretch of silence, Guthix will strike the altar and shine light on it. Following this cutscene you will complete the quest.